I just wanted to say that your blog is fantastic. I have a diabetic family member and the supposedly diabetic friendly recipes posted on many websites are not that friendly for them. 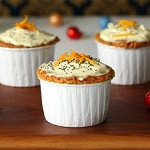 At some point I would like to add recipes that use eggs that are diabetic friendly on my own website (www.chickenscoopsandcakes.com)- may I use yours with full acknowledgement and links to your site? Of course:) I don't mint if you post them on your website. 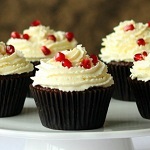 I know what you mean about diabetic friendly recipes you can find online. All based on regular flour and sugar!